Viewing 0 current events matching “pdxpython” by Date. Viewing 8 past events matching “pdxpython” by Date. Lightning talks!! 5 minutes of whatever pythonic-ish thing you want to share. If you have something you'd like to share this month, please let us know! Join us on our python.org mailing list and on #pdxpython on Freenode. All are welcome! Python Testing! New Time! New Location! Pizza & Beer sponsored by Emma! Socialize with other Python programming enthusiasts, check out presentations on Pythonic topics, maybe participate in a code sprint or two, possibly work on projects and provide mutual technical support. Chris Pitzer has claimed November's Michel's Monthly Module (most likely: subprocess), Brett Carter is putting together a presentation all about Mercurial Queues, then Jason Kirtland will highlight a few of the differences between MQ and Mercurial Patch Branches. Jason also plans to share a quick bonus lightning talk about Emacs, PyFlakes and PEP 8. 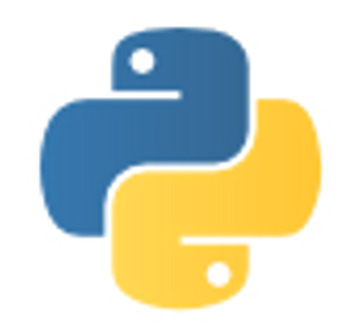 Chris McDonald will introduce us to bpython as a replacement for ipython, including its integration with Django and virtualenv. Selena Deckelmann will share a demo of screen, entitled: "OMG! SCREEN! basics, configuration, follow-the-leader -- you will wonder how you lived without it." You can bring a lightning talk about your favorite tool! We still don't have a taker for the Monthly Module. Email us at [email protected] to volunteer. It's a fun and easy way to start giving talks. Michel's Module of the Month (dateutil): This month, by Michel P himself! Yay! Unlocking the Mysteries of Async by Allan Feldman, Senior Software Engineer at New Relic Allan works on New Relic's Python Agent Team, engineering instrumentation for a wide variety of frameworks and modules. In this talk, Allan, will shed light on the inner workings of asynchronous Python and provide practical examples for when and how to implement it. Don't miss this one! Jupyter Lab, Not just a Notebook Anymore by Helena Lucia by, Senior Software Engineer for Cox Automotive. Helena works on at Cox Automotive on a Data Solutions team building APIs and applications to integrate and analyze subsidiary data (Kelly Blue Book, Manheim, AutoTrader, etc) primarily using Python and AWS. In this talk, Helena will showcase Jupyter Lab, a full service IDE with a full suite of plugins and open source community. Her talk will feature a live demo of Jupyter Lab that folks can download from github afterward. Awesome! Join us afterward at Bailey's Taproom 213 SW Broadway to continue the discussion over a beverage. Come join us for Pythonic talks! Thanks to this month's sponsor, CloudBolt Software. ETL is the process of Extracting data from a source, Transforming it, and Loading it into storage. This process is commonly used to combine multiple data sources into data warehouses. In this talk Sev will give an overview of ETL with processes he designed for creating a data warehouse for medical data. The bulk of this talk will concern how Python and Pytest were used to test the ETL processes. This will include modeling ETL processes as objects, using test fixtures and markers for dynamic test suite generation, making tests extensible through parameterization, creating test data, and advice on navigating the pytest docs. This talk is targeted to intermediate Pythonistas interested in ETL, testing, or data magic. Sev is a software developer and cat dad recently departed from his position at OHSU where he developed data management tools for cancer researchers and clinicians. He is coming soon to Nuna, a healthcare data and analytics startup as a Senior Software Engineer. Looking for a job? Your friends at CloudBolt want your help developing their state of the art Cloud Management software. Built with Django and ranked as the #1 product of its kind, CloudBolt is looking for talented engineers of all kinds in inner SE Portland. Special thanks to New Relic for hosting!